Washington state’s lagging support for smoking-prevention programs is shortsighted, given the amount of money such investments can save taxpayers on Medicaid and other health care costs. WASHINGTON has one of the highest cigarette taxes in the nation, and not by accident. Slapping a $3.03 tax on each pack is part of the state’s multipronged approach to dissuade people from smoking. Yet increasingly, the state is failing to reinvest its substantial tobacco-tax windfall into tried-and-true prevention programs that further reduce smoking rates and help people trying to quit. This kind of penny-pinching — highlighted in a recent article in The Spokesman-Review — is profoundly shortsighted. Ample research shows investing in smoking-prevention programs ultimately ends up saving states money by reducing public health care costs. While the state ‘s general fund took in $537 million in tobacco-tax revenues and tobacco-settlement payments in fiscal year 2017, Washington spent only about $3.5 million on smoking-prevention and -cessation programs that year, with some of that money coming from federal grants. That’s a huge drop from the $29 million the state spent as recently as 2008, and a far cry from the $47.8 million to $68.3 million the Centers for Disease Control and Prevention estimates Washington should be spending on prevention programs annually, based on the state’s population. Meanwhile, more than 8,700 people in Washington die each year from tobacco use, making it the state’s leading cause of preventable death. 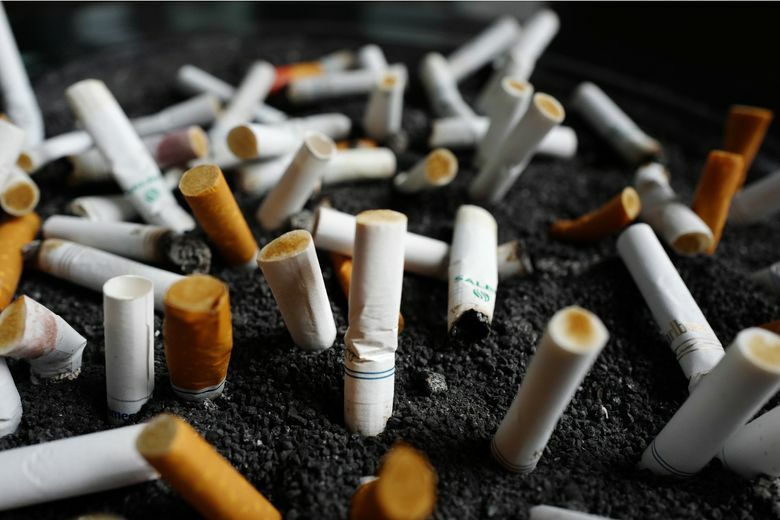 If the state boosted its spending on tobacco prevention and education, it would almost certainly recoup those costs in other areas of the budget. Smoking drives a total of $2.8 billion in state health care costs annually, with Medicaid shelling out $780 million a year for smoking-related health costs. A 2012 study in the American Journal of Public Health found that Washington’s tobacco-prevention programs returned $5 for every $1 spent. School-based programs that teach children about the health consequences of tobacco provide an especially big return on investment. But so do anti-smoking media campaigns targeting both children and adults, as well as quit-tobacco lines (1-800-QUIT-NOW) that offer support for smokers trying to kick the habit. The state has faced many budgeting challenges throughout this decade as it worked to pull itself out of the last recession, including court orders to boost spending on K-12 education and mental health. Restoring some of the state’s funding for tobacco-prevention programs is another area where lawmakers should do the right thing. It makes sense not just for public health, but also for the state’s bottom line.